Combination of two industry leaders to create a $23 billion timber REIT with more than 13 million acres of the most productive and diverse timberland in the U.S.
Weyerhaeuser Company (NYSE: WY) and Plum Creek (NYSE: PCL) today announced they have entered into a definitive agreement to create the world's premier timber, land and forest products company with more than 13 million acres of the most productive and diverse timberland in the U.S. At closing, the combined company is expected to have an equity value of $23 billion based on current share prices. The combined EBITDA for both companies in 2014 was $2.2 billion. Under the terms of the agreement, which has been unanimously approved by the boards of directors of both companies, Plum Creek shareholders will receive 1.60 shares of Weyerhaeuser for each share of Plum Creek held. This fixed exchange ratio represents an implied premium of 13.8% to the 30-trading-day Volume Weighted Average Price ratio of Plum Creek shares to Weyerhaeuser shares. Following closing, Weyerhaeuser and Plum Creek shareholders will own approximately 65% and 35%, respectively, of the combined company's common stock. Weyerhaeuser intends to execute a $2.5 billion share repurchase shortly after closing. The repurchase will result in a net financial impact on the company that is as if the deal were structured with approximately 70% stock and 30% cash. The combined company expects to maintain Weyerhaeuser's current annual dividend of $1.24 per common share, representing a 13% dividend increase to the dividend currently received by Plum Creek shareholders. "With an extraordinary set of combined assets and the proven value creation records of both Weyerhaeuser and Plum Creek, the combined company will offer a compelling opportunity for shareholders," said Rick R. Holley, chief executive officer for Plum Creek. "These two companies are already best-in-class timberland managers with a relentless focus on sustainable resource management. The breadth and diversity of our combined land and timber assets uniquely position the new company to capitalize fully on the improving housing market, continue to capture Higher and Better Use land values across the combined portfolio, and create additional opportunities to build lasting value. Doyle Simons and I share a commitment to disciplined capital allocation and sustained value creation, and I look forward to working together as we build a great new company." "We're excited to combine the two leaders in our industry to create the world's premier timber, land and forest products company," said Doyle R. Simons, president and chief executive officer of Weyerhaeuser. "This new company will create tremendous benefit for shareholders as we drive value through shared best practices, economies of scale, cost synergies, operational excellence and disciplined capital allocation. Our customers and employees will also benefit as we form a winning team with common values and unparalleled expertise in timber, land and manufacturing. I have the utmost respect for Rick Holley and the Plum Creek team and look forward to working together to successfully integrate these two outstanding companies." The largest private ownership of timberland in the U.S.
Rick Holley will serve as non-executive chairman of Weyerhaeuser's board, which will be expanded to 13 directors. Eight directors will be from Weyerhaeuser (including Simons) and five directors will be from Plum Creek (including Holley). "We've drawn from the best talent in each company to select a leadership team with unmatched expertise in the industry," said Simons. "I'm confident these are the right leaders to take best practices from both companies to achieve our targets, serve our customers, and drive shareholder value over the long term." The transaction requires the approval of shareholders of both Weyerhaeuser and Plum Creek and is subject to customary closing conditions. The transaction is expected to close in late first quarter or early second quarter of 2016. The combined company will retain the Weyerhaeuser name and continue to be traded under the WY ticker symbol on the New York Stock Exchange. As previously announced, Weyerhaeuser intends to move its headquarters to Seattle in mid-2016. In a separate news release, Weyerhaeuser announced that its board of directors has authorized the exploration of strategic alternatives for its Cellulose Fibers business. Cathy Slater will continue to lead this business as senior vice president of Cellulose Fibers throughout the review process. For Weyerhaeuser, Morgan Stanley & Co. LLC is serving as financial advisor and Cravath, Swaine & Moore LLP is serving as legal counsel. Goldman Sachs is serving as lead financial advisor to Plum Creek. BofA Merrill Lynch is also serving as a financial advisor to the company. Skadden, Arps, Slate, Meagher & Flom LLP is serving as legal counsel. The management of both companies will hold a joint conference call at 8:30 a.m. Eastern Time (5:30 a.m. Pacific Time) on Monday, Nov. 9, 2015, to discuss the announcement. To access the live webcast and presentation online go to www.weyerhaeuser.com or www.plumcreek.com on Nov. 9. To join the conference call from within North America, dial (877) 296-9413 (access code – 78061007) at least 15 minutes prior to the call. Those calling from outside North America should dial (706) 679-2458 (access code – 78061007). Replays will be available for one week at (855) 859-2056 (access code – 78061007) from within North America and at (404) 537-3406 (access code – 78061007) from outside North America. Weyerhaeuser Company began operations in 1900 and is one of the world's largest private owners of timberlands. It owns or controls nearly 7 million acres of timberlands, primarily in the U.S., and manages additional timberlands under long-term licenses in Canada. The company manages these timberlands on a sustainable basis in compliance with internationally recognized forestry standards. 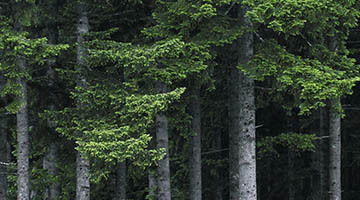 Weyerhaeuser is also one of the largest manufacturers of wood and cellulose fibers products. The company is a real estate investment trust. In 2014, its continuing operations generated $7.4 billion in sales and employed approximately 12,800 people who serve customers worldwide. Weyerhaeuser is listed on the Dow Jones World Sustainability Index and its common stock trades on the New York Stock Exchange under the symbol WY. Learn more at www.weyerhaeuser.com. Plum Creek is among the largest and most geographically diverse private landowners in the nation with more than 6 million acres of timberlands in 19 states. The company also operates wood products mills in the Northwest. Plum Creek manages its working forests using sustainable practices to benefit its many stakeholders. Plum Creek employees work together to create shareholder value, serve as stewards of the environment, make wood products for everyday use, and build strong communities. The company is a real estate investment trust. Please visit www.plumcreek.com for the latest information about Plum Creek. This communication contains statements that are forward-looking statements within the meaning of the Private Securities Litigation Reform Act of 1995, including, without limitation, with respect to Weyerhaeuser's and Plum Creek's future results and performance, the expected benefits of the proposed transaction such as efficiencies, cost savings and growth potential and the expected timing of the completion of the transaction, all of which are subject to risks and uncertainties. Factors listed below, as well as other factors, may cause actual results to differ significantly from these forward-looking statements. There is no guarantee that any of the events anticipated by these forward-looking statements will occur. If any of the events occur, there is no guarantee what effect they will have on company operations or financial condition. Neither Weyerhaeuser nor Plum Creek will update these forward-looking statements after the date of this communication. Major risks, uncertainties and assumptions that affect Weyerhaeuser's and Plum Creek's businesses and may cause actual results to differ materially from those expressed or implied in these forward-looking statements, including, without limitation, the failure to receive, on a timely basis or otherwise, the required approval of Weyerhaeuser's shareholders or Plum Creek's stockholders with respect to the proposed transaction; the risk that any of the conditions to closing of the proposed transaction may not be satisfied; the risk that the businesses of Weyerhaeuser and Plum Creek will not be integrated successfully; the effect of general economic conditions, including employment rates, housing starts, interest rate levels, availability of financing for home mortgages, and strength of the U.S. dollar; market demand for our products, which is related to the strength of the various U.S. business segments and U.S. and international economic conditions; performance of our manufacturing operations, including maintenance requirements; the level of competition from domestic and foreign producers; the successful execution of internal performance plans, including restructurings and cost reduction initiatives; raw material prices; energy prices; the effect of weather; the risk of loss from fires, floods, windstorms, hurricanes, pest infestation and other natural disasters; transportation availability and costs; federal tax policies; the effect of forestry, land use, environmental and other governmental regulations; legal proceedings; performance of pension fund investments and related derivatives; the effect of timing of retirements and changes in the market price of company stock on charges for stock-based compensation; changes in accounting principles; and other factors described in Weyerhaeuser's and Plum Creek's filings with the SEC, including the "Risk Factors" section in Weyerhaeuser's and Plum Creek's respective annual reports on Form 10-K for the year ended December 31, 2014. This communication is neither an offer to purchase, nor a solicitation of an offer to sell, subscribe for or buy any securities or the solicitation of any vote or approval in any jurisdiction pursuant to or in connection with the proposed transaction or otherwise, nor shall there be any sale, issuance or transfer of securities in any jurisdiction in contravention of applicable law. The proposed transaction involving Weyerhaeuser and Plum Creek will be submitted to Weyerhaeuser's shareholders and Plum Creek's stockholders for their consideration. In connection with the proposed transaction, Weyerhaeuser intends to file with the SEC a registration statement on Form S-4 (the "Registration Statement"), which will include a prospectus with respect to Weyerhaeuser's common shares to be issued in the proposed transaction and a joint proxy statement for Weyerhaeuser's shareholders and Plum Creek's stockholders (the "Joint Proxy Statement") and each of Weyerhaeuser and Plum Creek will mail the Joint Proxy Statement to their respective shareholders or stockholders, as applicable, and file other documents regarding the proposed transaction with the SEC. SECURITY HOLDERS ARE URGED AND ADVISED TO READ ALL RELEVANT MATERIALS FILED WITH THE SEC, INCLUDING THE REGISTRATION STATEMENT AND THE JOINT PROXY STATEMENT, CAREFULLY WHEN THEY BECOME AVAILABLE BECAUSE THEY WILL CONTAIN IMPORTANT INFORMATION ABOUT THE PROPOSED TRANSACTION AND RELATED MATTERS. The Registration Statement, the Joint Proxy Statement and other relevant materials (when they become available) and any other documents filed or furnished by Weyerhaeuser or Plum Creek with the SEC may be obtained free of charge at the SEC's web site at www.sec.gov. In addition, security holders will be able to obtain free copies of the Registration Statement and the Joint Proxy Statement from Weyerhaeuser upon written request to Weyerhaeuser Company, 33663 Weyerhaeuser Way South, Federal Way, Washington 98003, Attention: Director, Investor Relations, or by calling (253) 924-2058, or from Plum Creek upon written request to Plum Creek, 601 Union Street, Suite 3100, Seattle Washington 98101, Attention: Investor Relations, or by calling (800) 858-5347. Weyerhaeuser, Plum Creek, their respective directors and certain of their respective executive officers and employees may be deemed to be participants in the solicitation of proxies in connection with the proposed transaction. Information about Weyerhaeuser's directors and executive officers is set forth in its definitive proxy statement for its 2015 Annual Meeting of Shareholders, which was filed with the SEC on April 1, 2015, and information about Plum Creek's directors and executive officers is set forth in its definitive proxy statement for its 2015 Annual Meeting of Stockholders, which was filed with the SEC on March 26, 2015. These documents are available free of charge from the sources indicated above, and from Weyerhaeuser by going to its investor relations page on its corporate web site at www.weyerhaeuser.com and from Plum Creek by going to its investor relations page on its corporate web site at www.plumcreek.com. Additional information regarding the interests of participants in the solicitation of proxies in connection with the proposed transaction will be included in the Registration Statement, the Joint Proxy Statement and other relevant materials Weyerhaeuser and Plum Creek intend to file with the SEC.